Home » Fiscal» Property Taxes in Italy: What’s in Store for 2016? Property Taxes in Italy: What’s in Store for 2016? The government is launching new measures concerning Property Taxes in Italy to lower tax burden and boost the Italian property market for this coming 2016. To clear away some of the fog that surrounds that tangled issue here is your ultimate Italy property tax guide. 1) Primary home, goodbye Tasi – As widely announced months ago, one of the main planks of the new law of stability 2016 has just become a reality, namely the abolition of the TASI and IMU tax for all principal homes. Luxury homes and castles are, however, excluded from this benefit. 2) Discount for landlords – Home owners who let their homes on an “agreed rental” (canone concordato) – contract with a minimum duration of 3 years plus 2 years of automatic renewal and who comply with the minimum and maximum rents set by local authorities – will receive a 25% discount on the IMU tax for the house being let. This measure restores the fiscal advantages which had been written off in recent years with the change from ICI to IMU and the reduction of tax concessions on rental income. 3) Luxury houses and castles: discount on IMU – Payment of IMU stays in place for luxury homes and castles, but there will be a reduction in the revenue, as there will be a flat rate of 4 per thousand and a standard deduction of €200. 4) Agricultural and building land – There will be a differentiation between mountain land and land on the flat with the first benefitting directly and universally from an exemption from IMU. For the latter, however, it will be possible to get the same exemption from it in the case of professional farmers and agricultural smallholders. For building plots, after the decrease of 5% of the IMU which took place during 2015, a further 10% decrease has been requested for 2016. What will it cost to buy and maintain your home in Italy? 1) Purchase taxes on property in Italy – Stamp duty (imposta di registro), land registry(imposta ipotecaria), cadastral (imposta catastale) and VAT taxes plus other minor taxes. 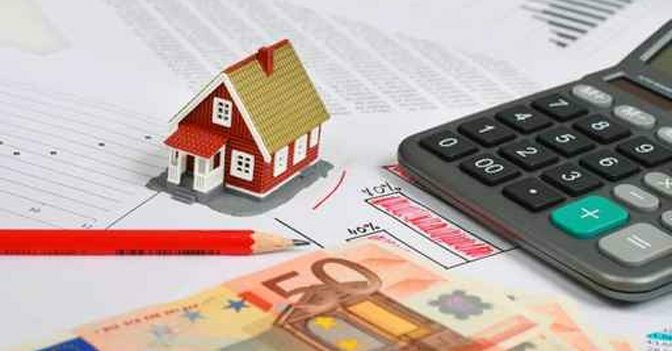 The “cadastral declared value” of the property on the Rogito (deed of sale) represents the basis (base imponibile) upon which the first three taxes we have just mentioned are applied, whereas VAT is applied on the purchase price and it is due only in case you buy your house from a developer or a property renovation company within 4 years from the end of the works. It is important to remember that at the moment the cadastral value of a property is still much lower than the market price, as the latest appraisals go back to many years ago. – If you purchase a principal home (prima casa) in Italy – in case you take out residency at your acquired property within 18 months of the final contract signing, and spend more than 6 months a year at that address – from a private seller or a company not applying VAT, the stamp duty is equal to 2% of the value (with € 1,000 as the minimum payment due), unless it is a luxury home; land registry and cadastral taxes are fixed at € 50 each. Be careful! You will pay a little more if you buy your ideal house from a company applying VAT. In this case, VAT is stable at 4% of the declared property price, and the other previously mentioned levies are equal to € 200 each. – If you are buying a property in Italy as your second home, you must pay a stamp duty which is equal to 9% (with € 1,000 as the minimum payment due); a land registry and a cadastral tax are fixed at € 50 each. You must pay also VAT in case you buy from a company applying VAT, which is stable at 10% of the declared property price, and you will have to pay € 200 for each of the other three levies. – IMU (tax on the ownership of the property): in 2016 the owners of primary homes will be relieved from IMU if they don’t own a luxury home or a castle. But if you own a second home then you must pay IMU. It is applied on the cadastral value of the property that you have to multiply for 168. The basic rate is equal to 0.76%, anyway this rate may vary depending on the location of the house since every town can increase it until reaching a maximum of +0.3%. – TASI: it involves for instance taxes on street lighting and maintenance provided by the Town Hall, etc. Also in this case in 2016 primary homes will be relieved from TASI unless you own a luxury home or a castle. The TASI calculation is carried out starting at the base rate of 0.1% and which each municipality can choose to reduce or to increase a maximum of 0.25% (maximum possible TASI rate is 0.33%). – TARI: it involves taxes on waste collection and its payment is based on square meters. The total amount of TASI and TARI cannot be higher than 10.6%. In this case your tenant will have to pay for TARI and a portion of the TASI. In the peninsula no capital gain tax is due if the property you sell was purchase more than 5 year prior to the sale. In any case we strongly recommend you to check carefully the taxes you have to pay and their exact amount.